I want to share with you some facts about ants. The largest ant colony ever found stretched some 3750 miles. It was in the rectory kitchen. Ants live up to 30 years. The ant is the world’s strongest creature in relation to its size: they can carry about three times their body weight. 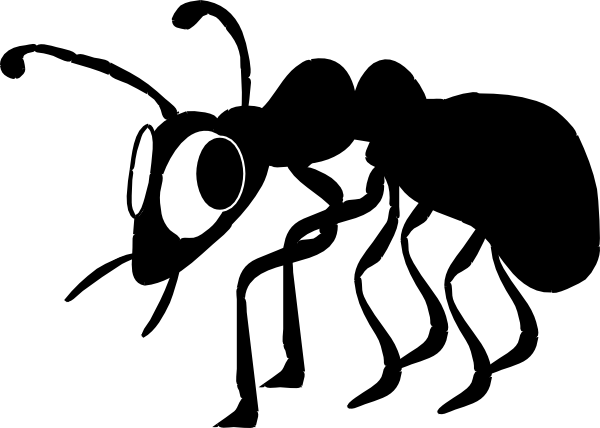 Ants move an estimated 50 tons of soil per year. I don’t know who measures this. Fire ants cause an estimated $5 billion worth of damage in North America every year. Ants have two stomachs: one to hold food for themselves and another to hold food for others. They live on every continent except Antarctica…which is ironic. Many ants have no eyes. Despite that last fact, ants are indeed very powerful creatures: they live a long time, move tons of soil, build impressive colonies, cause a lot of damage, annoy a ton of people, and they even farm. They are wildly powerful, but all that they do, all that I just mentioned, is done by only 10% of the ant population. Scientists have discovered after studying hundreds of colonies of ants that only 10% of ants do the work. That’s the result of a study I read a month ago. The rest of the ant population sit around an lounge all day long and put their feet up. You know, our Church is not unlike an ant colony. Now we do an awful lot as church. We Catholics…we made the first schools and hospitals and humanitarian organizations. Every day the Catholic Church feeds, clothes, shelters, heals and educates more people than any other organization in the world. We ought to be proud to be Catholic. Our church is far more impressive than an ant colony. In the US, every year we provide food services to 7.1 million people. We, the US Church, have almost 8000 elementary schools and 1500 high schools with over 2.6 million students. We run 230 Catholic universities. We run 629 Catholic hospitals an every year 90 million people are assisted. We have 10,124 orphanages. We should be happy to be Catholic! Our Church is impressive indeed. Think about how many bible studies, how many prayer groups, how many holy hours, how many spiritual programs, how many ministries there are. We have 80 or so just here at this one parish. And there are millions of parishes. We do a lot! Folks. The readings today are clear: a selfish life is a foolish life. That word foolish is in the first and second readings today. In the first reading Wisdom prepares a lavish table, much like our Church provides for us at our every celebration of the Eucharist. At the Eucharist, and that’s the subject of our Gospel, the Lord teaches us how to live: we give ourselves over, give all that we have, so that others can live, so that others can feast. In turn, we have quite the feast ourselves! Soon you will be getting in the mail a stewardship card from OLG, about time and talent. I implore you, I beg you: get more involved here. Serve this community. Don’t be foolish with your time and talent, don’t be selfish with it. We all have the same time in the day as Mother Teresa had in her day. It’s a matter of how we use it. On your time and talent card, we want to know what you’re doing here at the parish—what groups your involved with, what groups you want to get involved with. It’s a blessing because this offers us the opportunity to ask ourselves: what am I doing for the Lord, for his Church, for this community? If the answer is not a whole lot, then now is the time to start. No sense in being like one of the 90% of ants that does nothing! Let’s take a few moments of silence and ask the Lord, what more can I do for you?